Check out our Facebook Page for additional news, trips, training, and events! Welcome to spring kayakers. 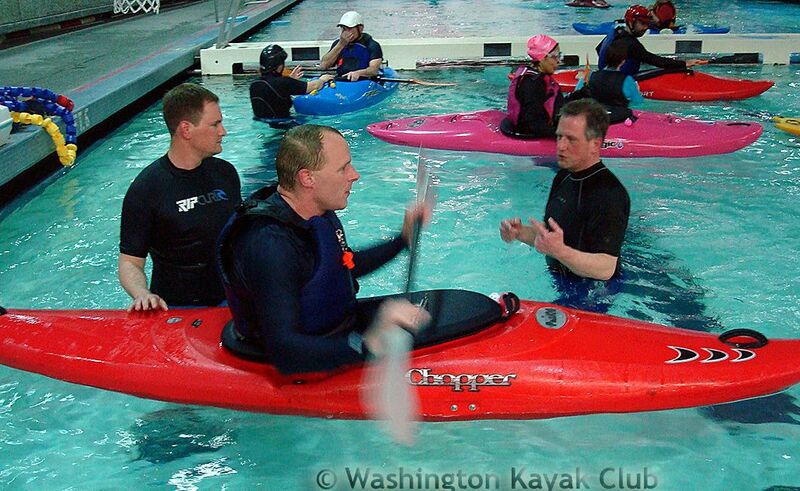 And thanks for a healthy and busy Q1 for Washington Kayak Club. 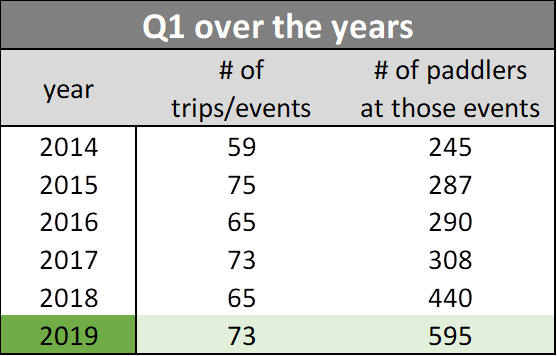 We had 595 paddlers enjoying 73 paddle opportunities across the club as a whole, an amazing number compared to previous years, especially when you consider what a winter we had. Way to get out and to encourage others to join you. That’s what we love to see. 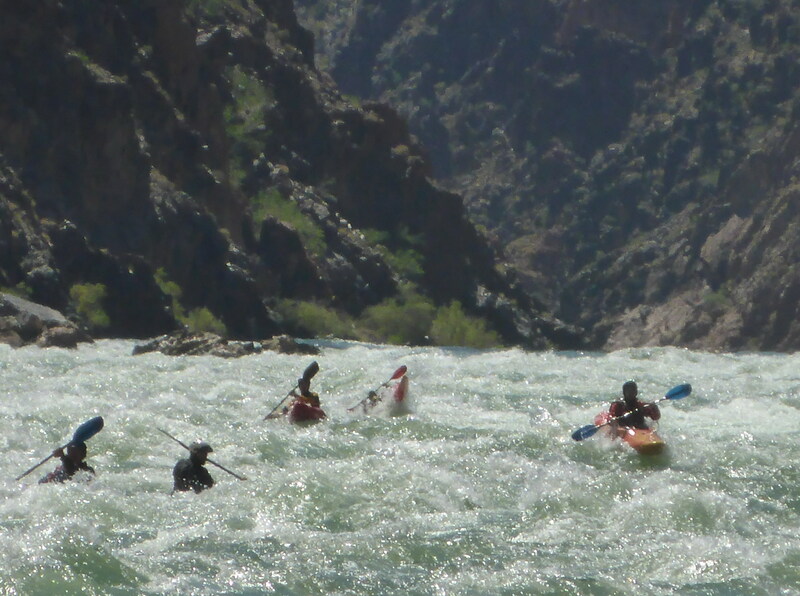 April has a ton of great events for you too across the spectrum of kayak fun. Dash Point on Sat the 15th. Open water crossing to Vashon Island with exploration of the semi wild southern coast of Maury Island. Don't miss Leg 3 of the H2O Project - 26 miles from Point Defiance to Point Jefferson! 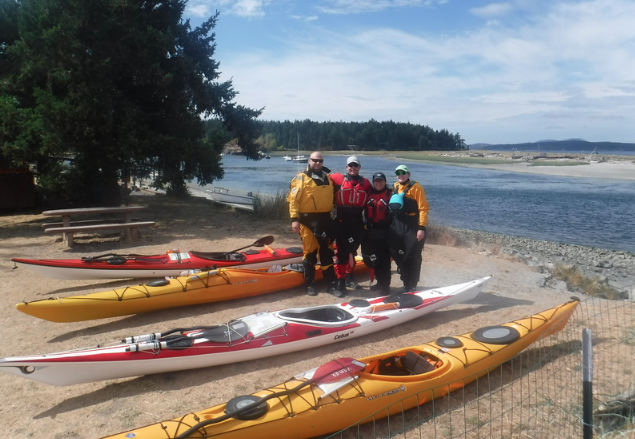 Sign-up early for Basic Sea Kayaking - Rhonda is looking for volunteers! 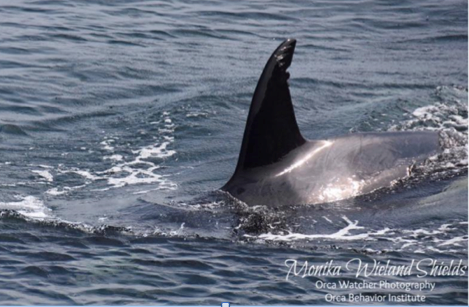 If your passion is in conservation, April has your opportunities too to celebrate Earth Day. 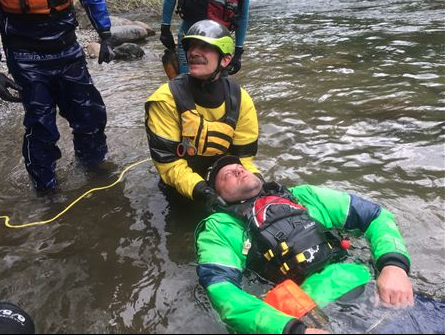 River Safety and Rescue Class is April 13th & 14th I’ve taken it myself and loved it. The Speaker Series this month features Bill Brackin – 32 years as an Inside Passage Expedition Paddler, learning opportunity right there. 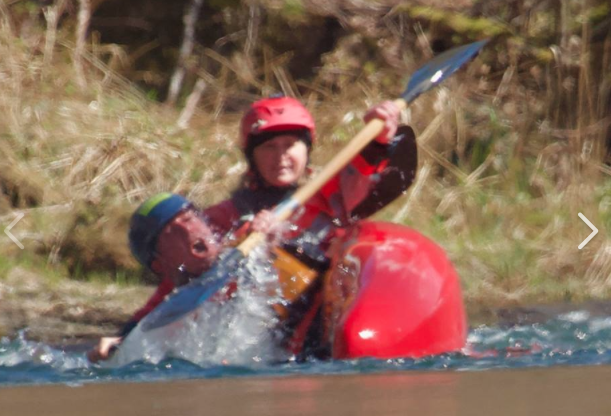 And volunteers are still needed for the Northwest Paddling Festival on May 10 - 11. I hope to see you at these events this month, enjoy your waters! 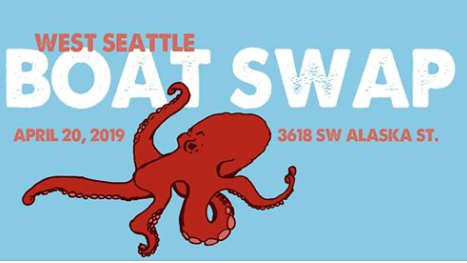 Please join us on Saturday, April 20, 2019 for this year’s cleanup of the Nisqually River. Invite your family and friends to this stewardship event and join us afterwards for a BBQ at McKenna Park. As was done last year, WRRR, WKC and PTCC are co-sponsoring this Event with support from the Nisqually River Council and other partners. We ask that all volunteers, regardless of club affiliation, register in advance through Eventbrite.com by CLICKING HERE. This helps us plan the Event and communicate with volunteers if needed. All the details you need to know can be found there. Continue to build your skills at weekly pool sessions offered by WKC in Tukwila, Shoreline, and Tacoma. The fee for weekly pool sessions is $10 for WKC members and $15 for non-members. Casey Garland will again present a course on river safety, rope utilization and rescue techniques. Team leadership and rescue planning will also be covered to achieve the best results in a rescue effort. 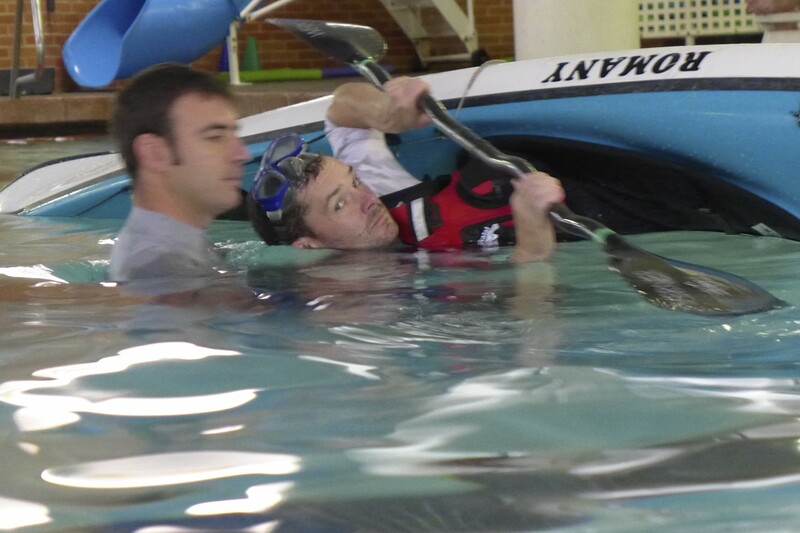 This class is great for a beginning whitewater kayaker or even a kayaker looking to tune up their rescue skills. Lectures will be held at Mike Grijalva's house Saturday morning before heading to the river. River work will likely be on the Cedar River, Landsburg site. 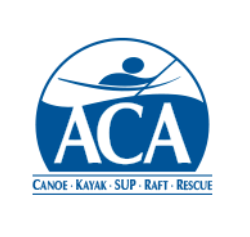 For almost 40 years, the American Canoe Association (ACA) has been the leader in paddlesports education. 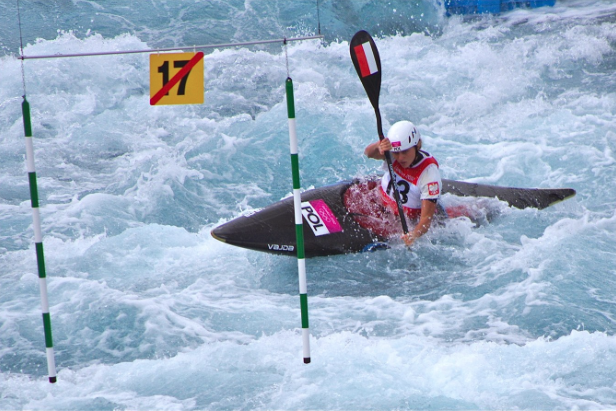 The ACA's National Paddlesports Instruction Program is widely considered the "Gold Standard" in the U.S. and abroad. 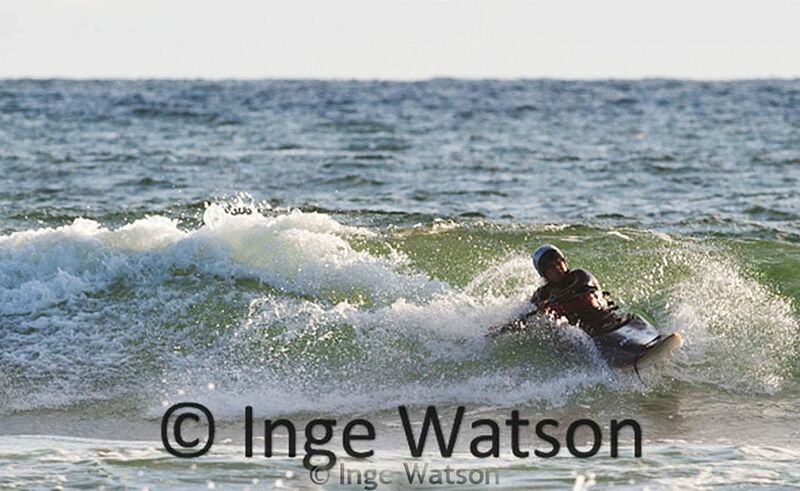 Through the certification process you will learn a specific and proven set of paddlesports best practices. 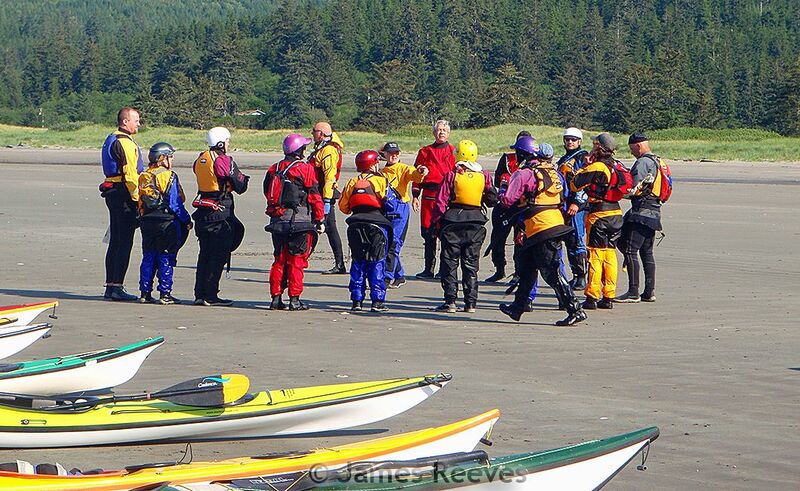 WKC Basic Sea Kayaking Course: June 7-9 **Volunteers Needed! Need food shoppers & cooks to help with class. Please contact Rhonda Schwab for details. 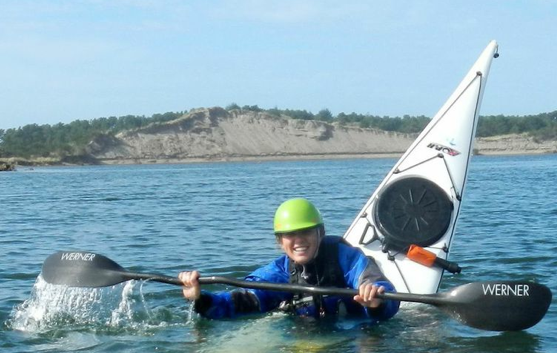 Join us for a weekend of FUN and ADVENTURE as you develop your techniques and skills on the water! 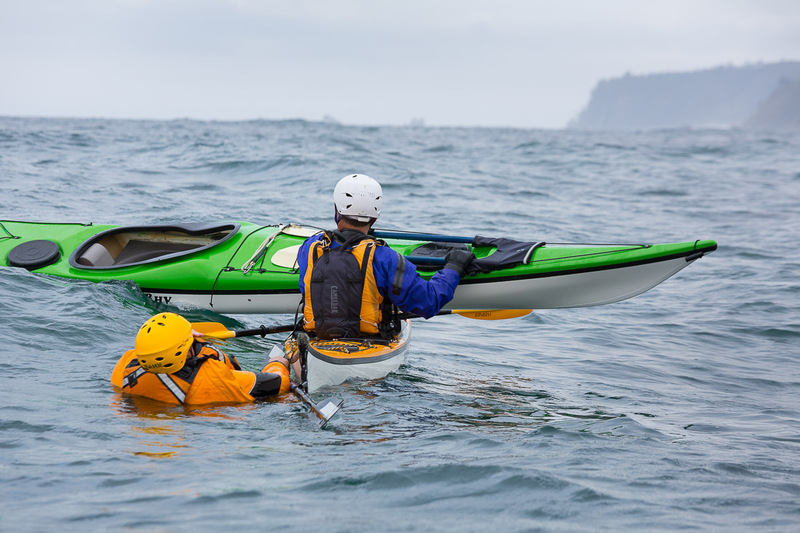 This class is planned to be a fun, entertaining, and challenging learning experience designed to develop and expand your current Sea Kayaking skills and judgment. 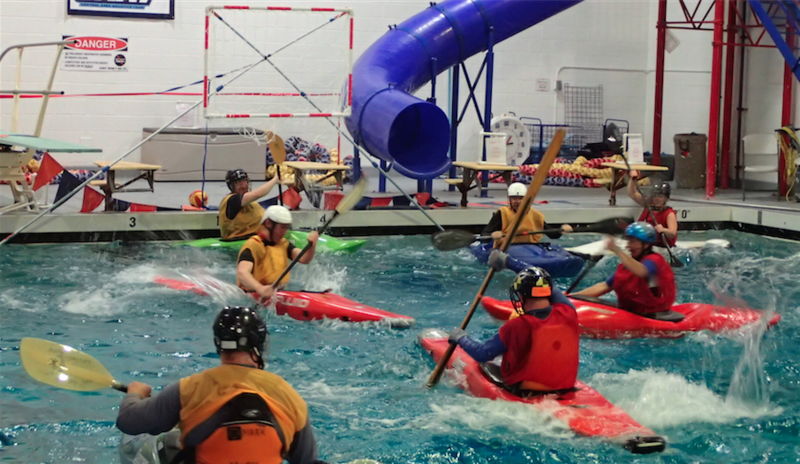 In this class, you will learn efficient paddling and boat handling technique, effective capsize recovery skills and correct bracing techniques, which includes the Eskimo roll. The class is structured so you will have many opportunities to practice your newly developed skills in a positive, supportive environment before we move into more challenging conditions. 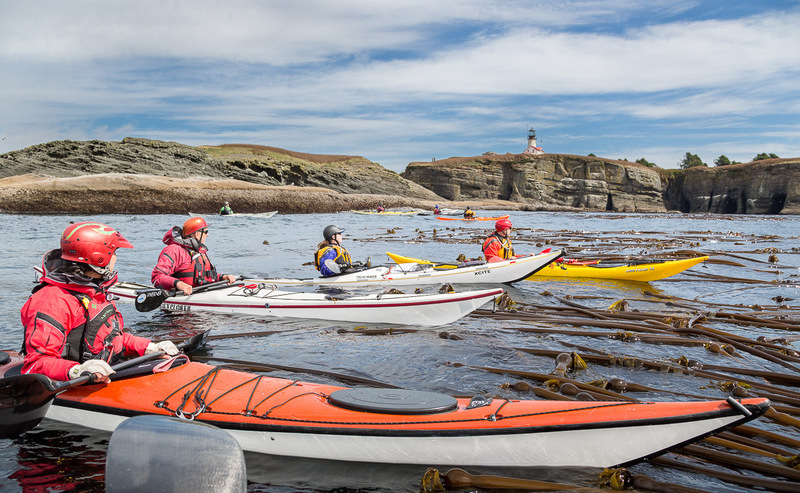 This 4-day Coastal Kayaking Clinic introduces the skills required to experience the beautiful, remote, and challenging waters of Washington State and Vancouver Island’s open coastline. 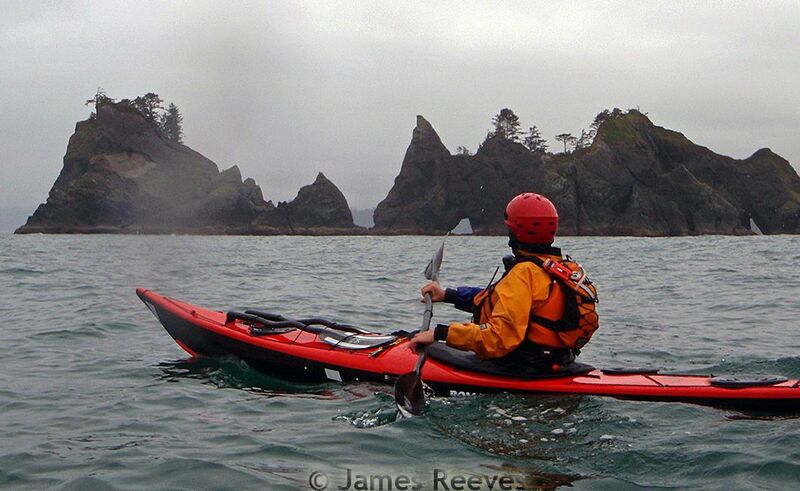 The clinic is at Neah/Makah Bay and is designed to improve sea kayaking skills and confidence, which will lead to increased enjoyment of your sea kayaking experience. 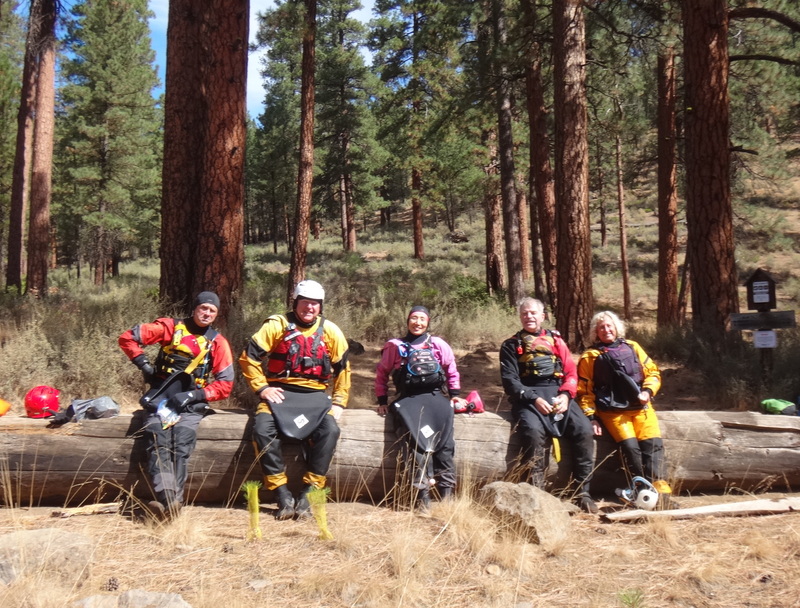 Congratulations 2019 Beginner Whitewater Kayaking Course Graduates! Explore the Inside Passage between Olympia, Washington and Wrangell, Alaska over 32 years and 2,000 miles of day trips, weekend trips, and 1-3 week expeditions. An overview of the logistics involved, strategies for locating campsites, avoiding bears, picking routes, and more. Some stories of interesting incidents and people along the way. Explore pre-trip worries vs. reality once on the way. 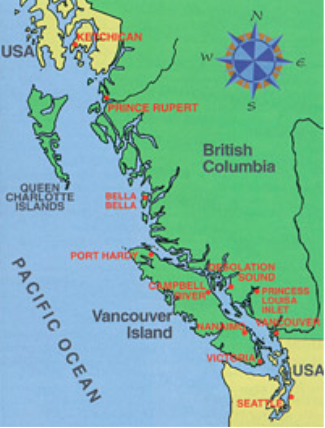 An Inside Passage resource list will be provided to those who attend. This community event is a great opportunity to buy and sell human powered watercraft (Kayaks, SUPs, Canoes) and accessories! They will also have scratched and dented SUPs and Kayaks from Mountain to Sound and Alki Kayak Tours available at discounted rates. 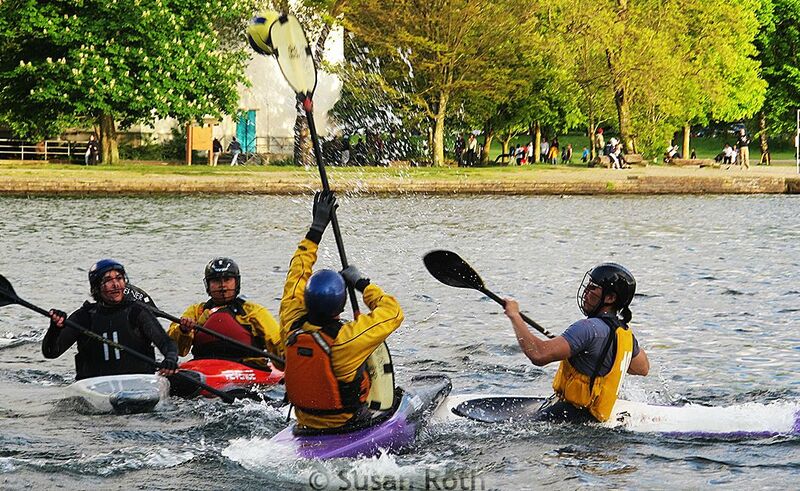 Portland Kayak Polo is hosting the Alder Cup in Portland, April 27-28 as part of Alder Creek’s spring demo festival. It’d be great to have a large group come down. This is always a fun event for experienced and new players alike. Contact Chris Brubaker for details! Play kayak polo in the Tukwila Pool. All boaters welcome; you'll need your own boat, PFD, skirt, swimsuit, towel - we have everything else you need. All are welcome! Register in advance via WKC Events Calendar. Join Alder Creek Kayak & Canoe for their 27th Annual Spring Paddle Festival at Vancouver Lake Park in Washington! This 2-day, FREE event is fun for the whole family! Come try-before-you-buy with over 100 Kayaks, Canoes, and SUPs to paddle! Join Cascade Forest Conservancy for a night of inspiring stories about nature, adventure and conservation! Proceeds from this event go to the Cascade Forest Conservancy. Your attendance and support make our conservation, education and advocacy programs in the heart of the Cascades possible. They will be screening the “Best of the Fest” — a collection of nine of the best short films from the 2019 Wild & Scenic Film Festival. 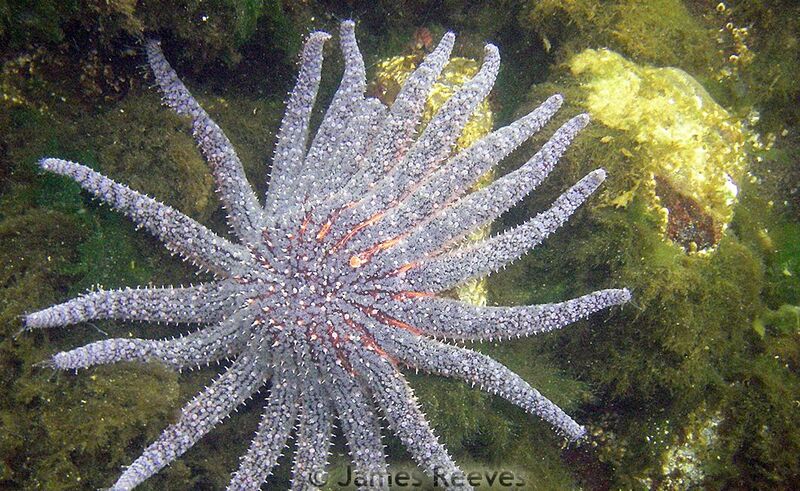 Conservation and outdoor adventure are at the heart of all the films. Before the screening they will hold a reception with beverages and light fare, and some great raffle items! Tickets: $15 in advance, $20 at the door (if available). 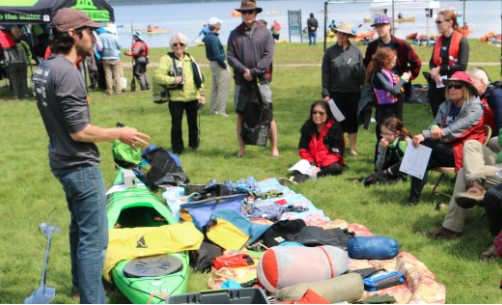 Come join us for the 9th Annual Northwest Paddling Festival at Lake Sammamish State Park in Issaquah. This is the largest event of its kind in the Pacific Northwest, bringing paddle sports retailers, manufacturers and paddlers together in one location! We love circumnavigating islands and want to encourage more paddlers to join the fun, so we have launched the San Juan Seven Challenge. 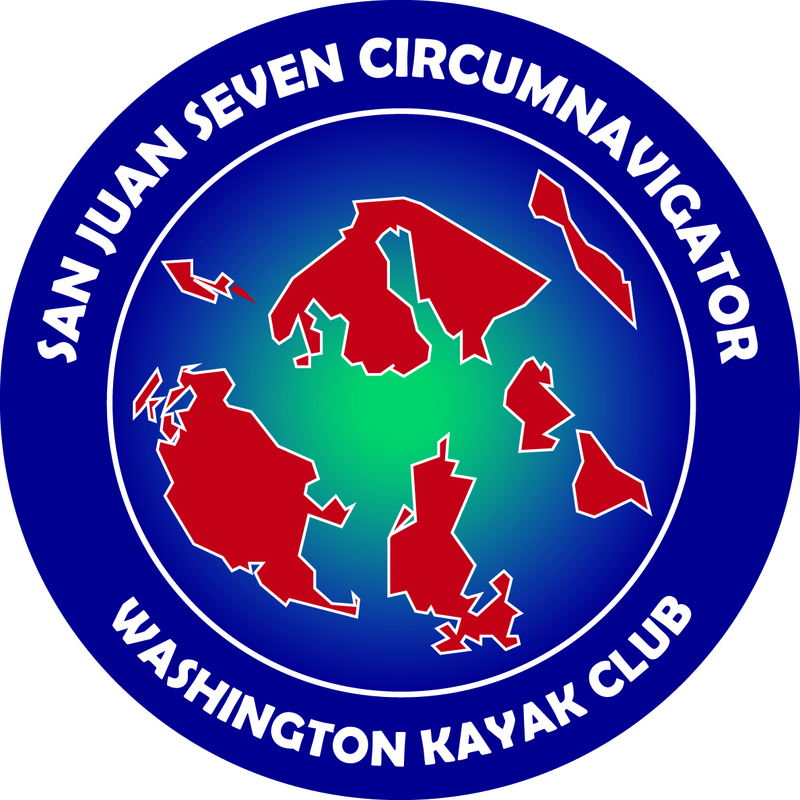 The seven islands selected for the San Juan Seven challenge are San Juan, Orcas, Lopez, Cypress, Guemes, Lummi, and Stuart. Contact Steven Exe for more information. 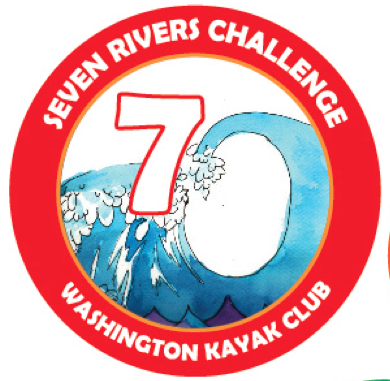 WKC members who participate in club trips to the seven designated rivers will receive collective paddle/boat stickers designed by a whitewater kayaker and artist Zeus Rudner. Challenge yourself to get all seven stickers! When a member completes all seven rivers, he/she will receive a finisher’s sticker. To make it easy to keep track, participants must register for the club trip online. Looking to Buy/Sell Used Paddling Gear? Check out the Trip Reports tab to see more WKC kayaking adventures. Despite the low water, the cold weather, or the put-in blockage, a fearless wiener roasters – on 11 hard-shell kayaks, a tandem canoe and a solo canoe - gathered on Saturday, March 2, to run the Skykomish from the Big Eddy to Sultan, Class 2. Thanks, WKC, for 20 years. I moved to Issaquah and joined WKC more than 20 years ago, and have paddled many days, with about 100 different WKC members. I've enjoyed them all and could not imagine a better bunch of boaters. We are so lucky to have the Middle/middle, the Green and Skykomish in our backyard. I have racked up many days paddling them every year. Occasionally, people describe a river as a “gem”. For me, no river is more gem-worthy than the Metolius. Its headwater bubbles up from the ground; crystal clear cold water creates a small pool and starts the river. This spring water guarantees enough water for boating even in the dry months of the year. My trip began Thursday evening car camping in Washington Park. The smoke from the BC wildfires created a stunning crimson sunset. Concerned about wildfire smoke I bought everyone a N95 respirator, glad to say it wasn’t needed. Friday morning we caught the 9:35 am ferry to Lopez Island, stopped off at the Lopez bakery in the village. We continued onto our launch location in Fisherman’s Bay at public beach access located in Lopez village off weeks road. 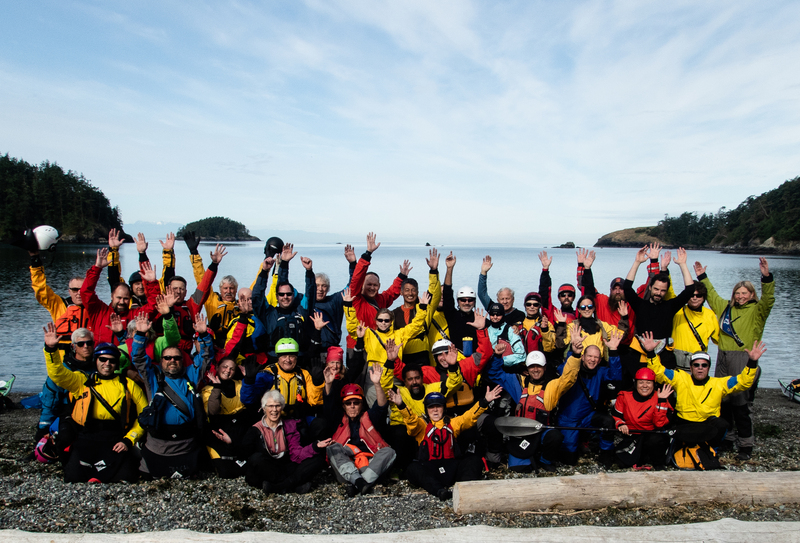 Day 1 we launched from Lopez Island and paddled up the coast to cross to Turn Island. It was one of the most fun crossings I’ve had. There was a lot of confused water and good conversation on the way. Upon landing on Turn, we discovered that Tina’s raccoon fears were real. 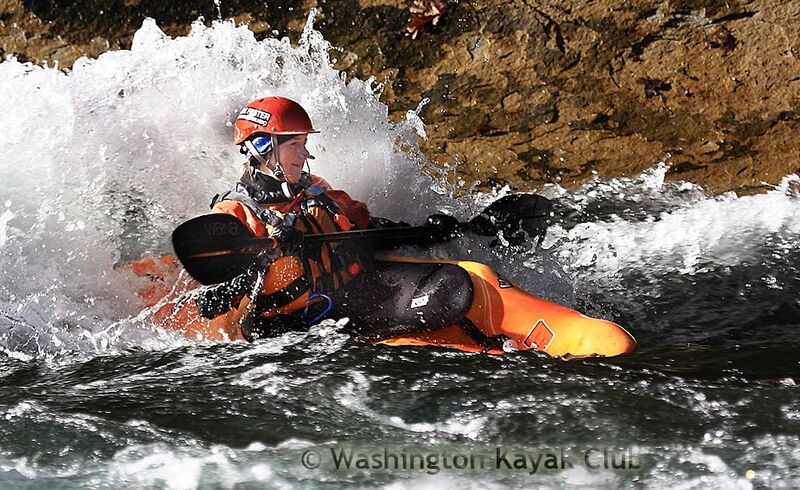 See more trips on the Washington Kayak Club Facebook Page!